Excellent advice on how to optimistically and realistically plan for the holidays while enjoying time with your family. Meet an motivational young autistic woman with minimal social and language skills who has discovered her talent for creating beautiful jewelry. The author of The Cookbook for Children with Special Needs shares tips for cooking with your child, encouraging more family time and helping your child feel involved in preparing for and celebrating the holidays. Includes step-by-step guide to preparing a delicious turkey and sweet potato mash. The mom of an autistic boy shares strategies that have helped her change the course of conversations which solely focus on disabilities. The CEO and founder of Naturally Healing Autism shares her tips on maintaining your child’s health during the holiday season including information on dangerous food additives, dyes and sugar intake. The authors of the book Chasing the Rabbit A Dad’s Life Raising a Son on the Spectrum have shared personal narratives that reflect what has made their journey together as father and son both unique and ultimately very rewarding. Description Learn about five festive activities you can adapt for every member of your family to participate in this holiday season. The mother of a child on the spectrum comes to a personal revelation after what could have been a stressful trip to the amusement park. In his memoir, a teacher and parent shares his valuable insight on raising of a child on the spectrum. 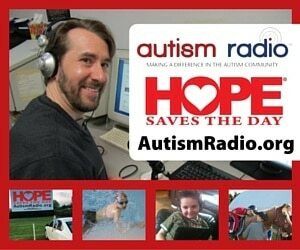 Learn about an interactive website which allows families to create a customized storybook called Someone Special Uniquely Personalized Books in an effort to teach kindness, acceptance, and confidence. The author of the Tommy’s Lessons Series and Autism Safety Blog shares how to keep little ones safe from harm when wandering is an issue. 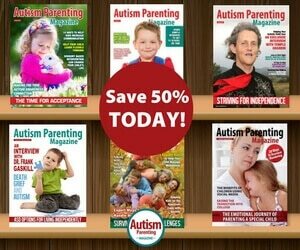 Take a look at the latest in motivational and informative books that focus on autism. Whether it’s a gift for yourself or a friend, these two books are sure to inspire. A dedicated dad describes how and why he developed Live 2 Learn Differently, an app that helps children on the spectrum communicate and connect. The mom of a young boy with autism considers what makes life meaningful. A pediatric psychologist shares specific tenets your child’s support team ought to follow to ensure consistency and safety. A touching narrative about a dad’s loving relationship with his young daughter, Zoe, who is on the spectrum. A new mobile app called ABC, Talk with Me! uses augmented reality technology to help parents fight the battle against gadget-addiction and refocus their children’s attention on interacting with a classic physical toy. A school psychologist describes how and why she created a practical board game called Manners Mall that helps children on the spectrum practice much-needed social skills. The mother of three children, one with autism, stresses the importance of reaching out to other autism parents and getting involved in the community. Learn about New York’s New Victory Theater and upcoming autism-friendly events. A mother describes the positive results her child on the spectrum has experienced because of the bCalm sound system. In this episode of the Dr. G Aspie show, Dr. Frank Gaskill gives 5 tips to ensure that your Aspie can thrive during the holidays. 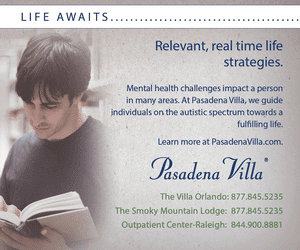 Learn excellent ways to help a child with autism cope with overwhelming storm anxiety. Learn about another option for protecting your child when there isn’t a need for guardianship. Learn to make this quick and healthy soup for those cold winter nights. FAMILY — how can one simple word have so many meanings? Most dictionaries define family as a group of people living under one roof under one head. Other traditional definitions include shared ancestry or common stock. While all valid definitions, I like to believe the word family can have a much broader meaning to include close friends, neighbors, coworkers — the people who love and accept you unconditionally and add positivity to your life. These are the people we need to embrace and include in our families. As we planned our holiday issue, we considered what means the most to our readers this time of year. 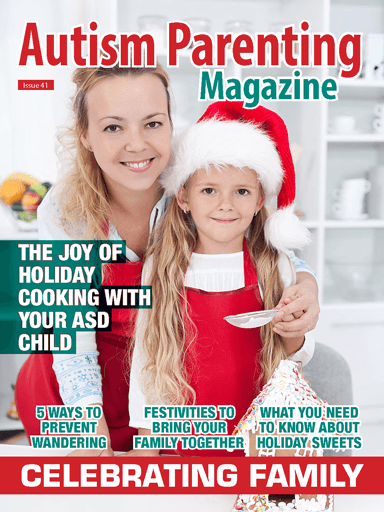 In addition to the need for understanding and support, our Autism Parenting Magazine families might need some advice on shedding some holiday stress. That’s why we asked Deanna Picon, founder of Your Autism Coach, LLC, to provide advice for those families who may struggle with feelings of guilt, loneliness and anxiety this time of year. We hope Five Tips For Enjoying The Holidays With Your Special Needs Child will help you reduce holiday pressures, realistically plan for the holidays and enjoy time with your family. Maybe your family travels far to partake in large family gatherings, or perhaps you stay close to home for something more intimate. Regardless of size and proximity, we all well know holiday celebrations tend to create a source of stress on children with autism as well as other family members. Because of this, we reached out to Behavior Analyst Sarah Kupferschmidt to provide tips on making this holiday one to savor. Take a look at 5 Simple Things You Can Do to Make this a Holiday to Remember as you try to plan a stress-free holiday. We hope this will prepare our families so they can make this the best holiday ever. One surefire way to connect with people you love is to work together in the kitchen. We asked Deborah French, author of the recently-published book The Cookbook for Children with Special Needs, to share some tips with our readers on how to promote holiday togetherness. Be sure to take a look at her simple guide to preparing a scrumptious turkey with sweet potato mash with the entire family in The Joy of Cooking this Holiday with Your Special Needs Child. Another excellent way to connect with family is to play games. We recently learned about a new board game called Manners Mall and asked its developer, Lori Granieri, to share its inspiration with us. Take a moment to read Introducing an Exciting New Board Game That Promotes Social Skills as Lori explains how Manners Mall can help children on the spectrum practice much-needed social skills. Finding activities your entire family can participate in during the holidays can often be a challenge when you have a child with autism. That’s why we reached out to Heather Greutman, a Certified Occupational Therapy Assistant turned therapy/homeschool mom blogger. Be sure to read Making Holiday Memories with Your Special Needs Child as she has devised five activities to help bring your whole family together. 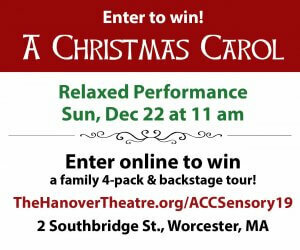 If you are looking for an activity to do outside the home as a family, consider finding an autism-friendly theater performance or event. If you live near New York City, for example, the New Victory Theater located in Times Square offers shows for families who desire a relaxed environment for individuals with autism or sensory sensitivity. Check out their upcoming schedule in the article called New Victory Theater Offers Second Season of Autism-Friendly Performances. Since we are focusing on celebrating family this month, we are excited to feature multiple articles which revolve around the people we love. In addition to touching personal narratives from our readers, we have a special piece provided by a father and a son team. Take a look at A Father and Son’s Perspective — Life, Love and the Autism Journey in which we highlight Derek Volk and Dylan Volk, authors of the new book Chasing the Rabbit: A Dad’s Life Raising a Son on the Spectrum. Their personal narratives reflect what has made their journey together as father and son both unique and ultimately very rewarding. As we head into the holidays let’s focus on creating our own special family together-time. It doesn’t have to be fancy and it doesn’t have to be perfect. Spending time with the those who love and accept us can be the best gift of all. And if you are able, invite other people in need of family to rejoice with you. Let’s celebrate!! Save 50% and get $30 of FREE bonuses when you subscribe today! 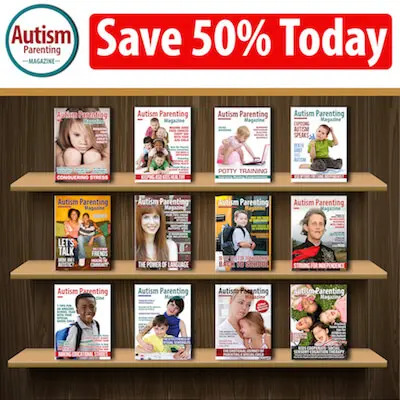 As I am a SLP I want purchase the magazine,because so many autistic children are coming to me.I want to encourage them to purchase the same.I want the magazine in PDF FORMAT.As I am from India.Have a beautiful day. I have been trying to find out if this magazine can be delivered to my home address if I subscribe. I would love to actually have the magazine. I do not have a computer. It is hard to read things on my phone. Please advise if this is possible. I would love to have access to this magazine. Won’t except my email for sum reason ? Can I have a magazine please ?